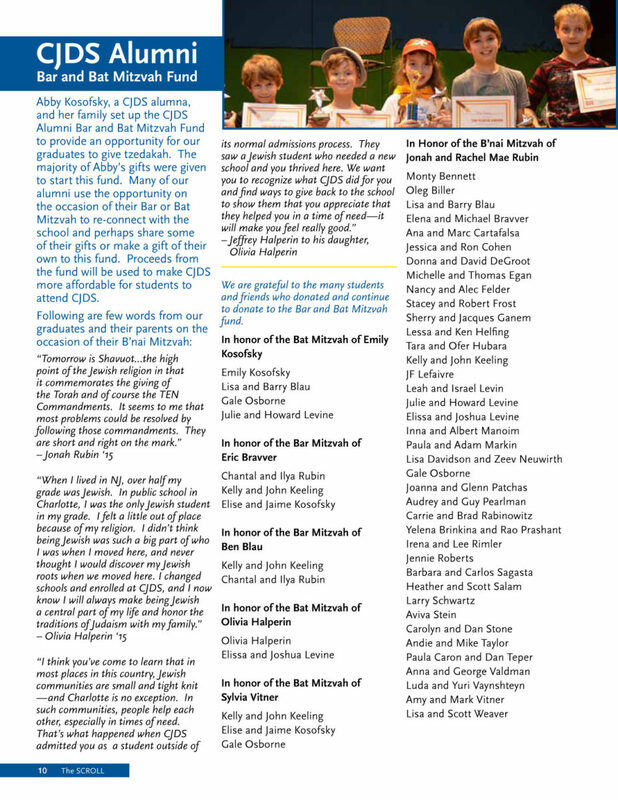 The Charlotte Jewish Day School Alumni Bar and Bat Mitzvah Scholarship Fund was established by Abby Kosofsky in honor of her Bat Mitzvah in October 2015, to benefit children in the Charlotte community who may need additional financial assistance, beyond what the school may be able to award, in order to attend CJDS. The fund is intended as an opportunity for all CJDS graduates to continue the mitzvah of tzedakah by contributing to the fund at the time of their Bar or Bat Mitzvah. 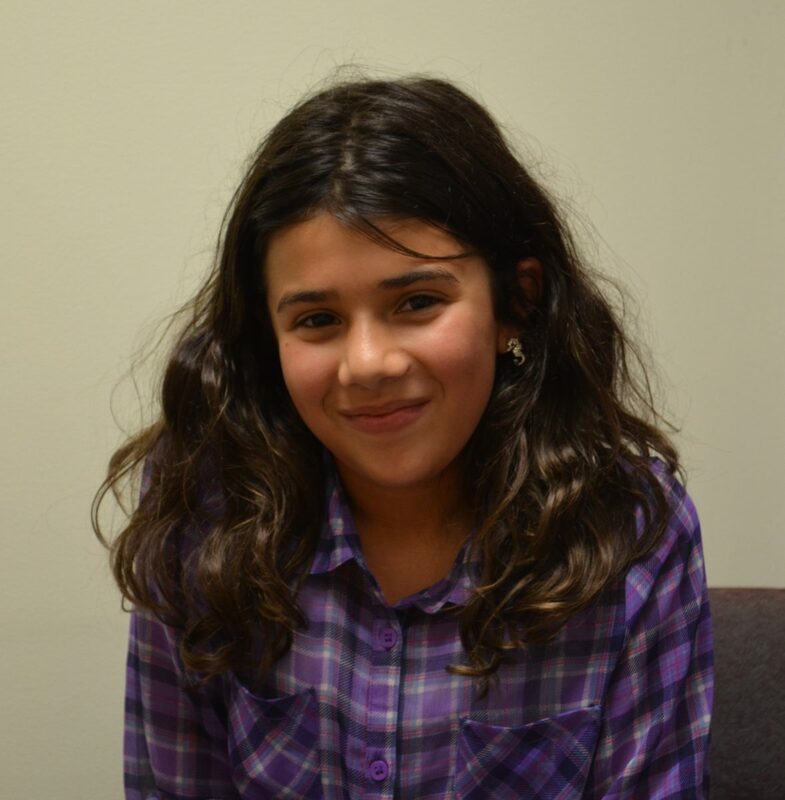 Upon her graduation, Abby wanted to make it a reality for as many children as possible to attend CJDS, so that they, too, could experience and benefit from the warm and nurturing atmosphere of Yiddishkite. I would like to give a gift of tzedakah to the CJDS Alumni Bar/Bat Mitzvah Scholarship Fund.